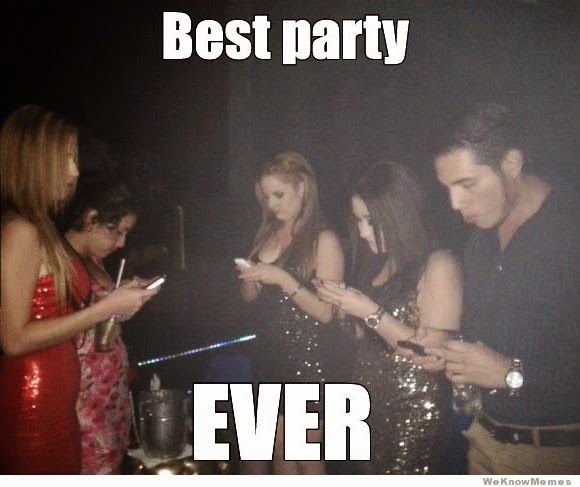 We are in an age of smartphones, constant stimulus, instant gratification, and relentless technology. All of our modern advancements are incredible and I wouldn’t want to live without them, but we talk less and less to each other anymore. What does this do to people, relationships, and a society over time? How will the progeny of the smartphone generation learn to make genuine eye contact and meaningful human connection? How will they learn empathy, interaction, negotiating, compromising, critical thinking, diplomacy, deductive reasoning- nevermind explore depths of loneliness, develop their ability to think, feel, empathise, and examine their innermost selves if they are addicted to handheld electronic distraction? The arts, and specifically small-group creative activities, just might facilitate a real improvement in our ability to connect to each other. In my experience, chamber music, performing in it or attending a live event, can provide an arena for creativity, imagination, human contact, and bonding. Music is a superior connector. Human beings around the world feel the same range of emotions- love, rage, despair, elation, fear, sadness, loneliness, joy. For me, music, and specifically classical music, has the power to bring sound to those universal feelings, helping us empathise with each other. It can evoke powerful imagery and explore the gamut of human emotion to create a cathartic experience. We are far more alike than we are different, and in music we can celebrate our uniqueness while relating to each other through our sameness. Musical performances offer us a space where we put down our smartphones and marvel at what differences do exist among us in a way that brings people together rather than divides. In this modern world we’re living in, we need to do everything we can to facilitate greater humanity, communication, and understanding. I have found that there is more potential for personal connection with the audience in a chamber music experience. It’s still somewhat possible in a large concert hall, but so much easier in a smaller space where there’s a bit less formality. 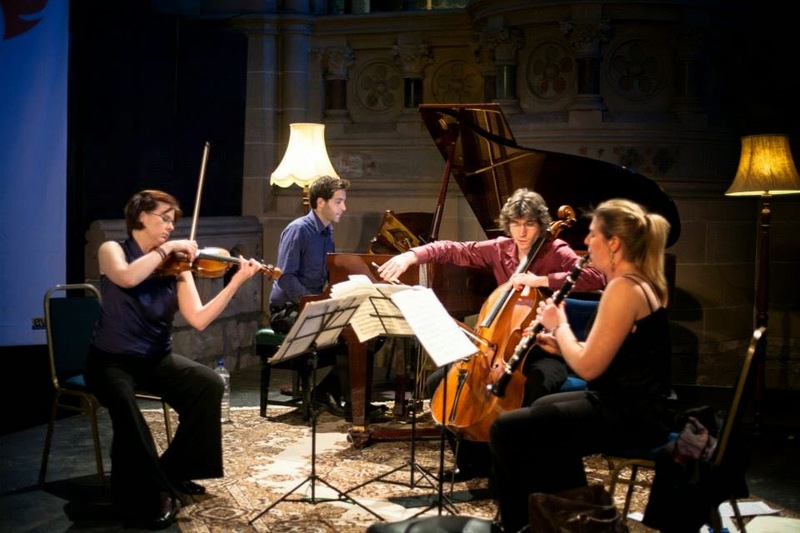 When the chamber players take the opportunity to interact with the audience during the concert itself, it has the effect of breaking a bit of unnecessary tension as well as humanising the players to the listeners. If the performers decide to share a little inside knowledge about the music, the audience often feels more possession of the music and more connected to the players as well. This bit of contact does wonders to break down the divide between listener and the stage, making the music belong equally to everyone. When you take time to connect to the people who have come to hear you, you build their loyalty. They become more open to the music itself, more connected to the players, and the experience becomes unforgettable for them. I self-identify these days primarily as a chamber musician. It wasn’t always like that. When I was younger, I thought I might like to be either a Broadway singer or a clarinet soloist but I didn’t really pursue those particular paths in a serious way. I did, however, take orchestral auditions for clarinet jobs while I was in graduate school and I was lucky enough to get myself a job in the Singapore Symphony Orchestra where I remained for over 7 years. In addition to my life as a full-time orchestra musician, a side perk of the job were occasions for playing chamber music with some of my colleagues. I thrived on those creative opportunities. There is greater potential for each player to find their voice and sculpt the music themselves in a small, unconducted group. I was determined, then as I am now, to keep as much chamber music in my life as I could. Life took me to Scotland in 2005 where I still do orchestral freelancing and the odd solo engagement. Yet these days I am putting most of my energy into my love of chamber music and enjoy playing with a variety of folks. I am especially fortunate to play recital repertoire in a duo with my uber-gifted husband, Steven Osborne, but am also ever busy being a member of a chamber group called “Daniel’s Beard” (yes, that’s the name- read its story at http://www.danielsbeard.org.uk/about.htm ). Our group is made up of violin, viola, cello, piano, horn, clarinet, and occasionally we recruit other instruments as well. You can imagine the wealth of repertoire an instrumentation like that can cover with all of its many combinations, large and small. Chamber music for me has always been a platform where my own musical individuality, creativity, and personality can shine through. I also deeply love the music that I have had the privilege to play: Brahms Quintet and Trio, Mozart Quintet, Messaien Quartet for the End of Time, Schubert Octet, Bartok Contrasts to name just a few of the masterworks. Playing chamber music is also a time for close connection, communication, and meaningful human contact with people I like being with, plus I find great reward in sitting down to perform in a concert that I’ve helped organise. Making things happen for oneself is a very empowering feeling. Furthermore, it can be an opportunity to connect with new people for the first time on the day of the concert. It is enormously rewarding when audience members let you know how much they’ve enjoyed aspects of the performance, and if possible, it’s a great time to get to know a little about them, too. Daniel’s Beard plays its fair share of proper concerts in proper concert halls, but we also have played in the most rural of towns and small spaces, have done numerous workshops with children in schools all over Scotland. In addition to more mainstream activities, we’ve worked with the differently-abled, the socially disadvantaged, performed at a hospital and even once at a grocery store. We generally try to promote Scottish-based instrumentalists, vocalists, composers and we have collaborated with local actors and dancers to make the classical music experience engaging, inclusive, modern, and relevant. There is no questioning the positive impact that this chamber group has had on the communities we’ve visited. This is made evident by the fact that the average age of our audiences is actually going down. Chamber music’s greatest asset beyond the stunning repertoire is that it is a small group. It’s portable. You don’t need a massive concert hall, you just need a room, anywhere. That means you can take positive experiences and great music to people that might otherwise not have access and connect with them in a meaningful way. A chamber group can easily visit schools and inspire students or bring cheer to people in hospitals. The possibilities for potential venues are endless. For example, imagine what positive influence playing in a prison might have. Chamber music in the school is an amazing educational medium. If you’re a music teacher reading this and your school doesn’t have a big music program, it is still possible for your students to have a challenging and rewarding ensemble experience even if it’s not possible to form a full band or orchestra. You can easily put together groups of three, four, or five people and find a wealth of stimulating repertoire, or self-arrange music to cater to their individual abilities. In addition to the group practicing a piece until it’s ready to perform, there are so many other skills that students develop as part of the process. Small group playing develops confidence and musical independence while improving instrumentalism and promoting teamwork. Not only will students become better musicians faster, but in time they will learn how to run their own rehearsal, how to negotiate, how to be diplomatic, how to tolerate ideas different than their own, how to compromise, to think better critically, to listen, to imitate, to contrast, and how to be more sensitive. Through shared musical experiences, we look away from our smartphones and engage in a thought-provoking experience in a room with each other. Chamber music is particularly good at making the concert activity something personal, enriching both participants and listeners. Just a few energised musicians working together can make a tremendous impact on quality of life in our schools and communities, and feed their own souls at the same time. So, if you’re used to going to orchestra concerts anonymously in big halls, wonderful – don’t stop doing that. Orchestra concerts are exciting, enriching, and important cultural experiences. But maybe you’ll consider taking in a local chamber music concert sometime. And when you do, make sure you say hi to the clarinetist.